Merveille ("marvel"), described as a 'Lilac Rosewood' color, is part of Chanel's Spring 2013 Printemps Precieux de Chanel. While I've tried (and loved) the Chanel Glossimer lip glosses, this is my first foray into the world of the Rouge Allure Extrait de Gloss--and so far, I must say, I'm impressed! Merveille is a gorgeous rose color, with definite hints of plum. The texture feels neither light, nor thick on my lips and best of all, it is not in the least bit sticky! 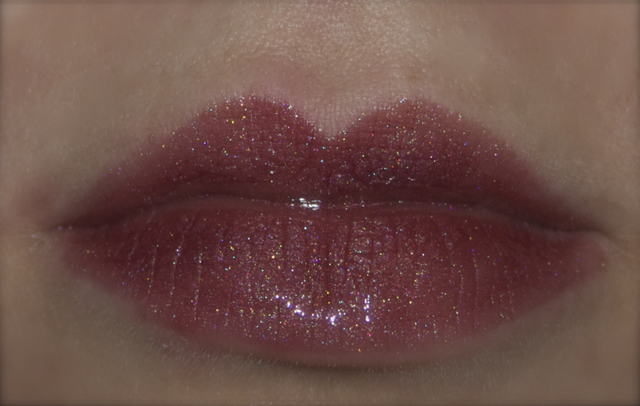 The color has fantastic pigmentation, with microshimmer throughout (this really shows up in flash photography to gorgeous effect) but it does not look the least bit glittery on the lips. And I cannot feel any grit in the texture on my lips. 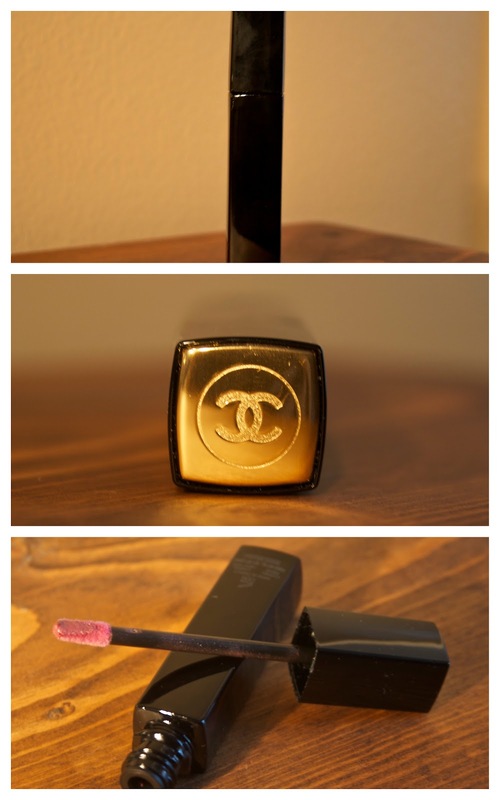 Chanel's packaging is chic as ever, but the black does show fingerprints very easily. The curve of the applicator makes it fit to the lips, making application a breeze. In these photos I am wearing two layers, but I could have easily left it at one. 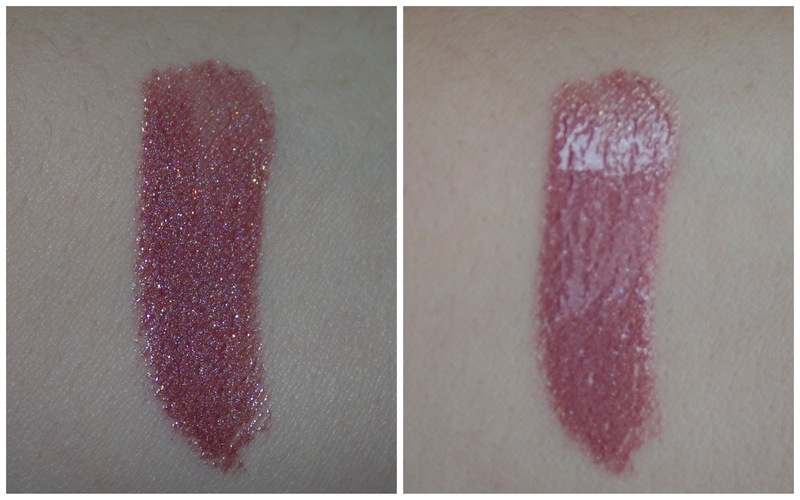 I am a huge fan of glosses, and this product represents the best of what I love about them (glossy look, easy application, beautiful color) without looking the slightest bit cheap or tacky. It is a sophisticated, modern lip gloss that will be beautiful in spring (but isn't so pastel or bright that it cannot be worn during the coming winter months). Merveille may be my first Rouge Allure Extrait de Gloss, but I am sure that it won't be my last! Chanel indicates that Merveille is now part of the permanent collection, but I know their press releases/website has been wrong before, so if you want to wait on grabbing this gloss, you may want to email Chanel first just to double check that you will be able to get ahold of this product at a later date. Rouge Allure Extrait de Glosses are $32.00 for .28oz or 8g of products. Available at Chanel.com. Please sign up for new blog posts and follow me on twitter as @julesssdarling.